Everything served in Food capers is baked and freshly cooked on a daily basis and this is what keeps customers returning time and time again. 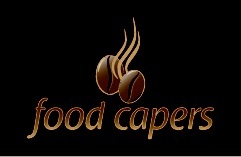 The Food Capers menu contains a range of sandwiches, Wraps, Melts, Paninis, Baps, Wholemeal bread, Brown bread, Soups and quiche among many more tasty options. Breda and her team have a real passion for food and flavour and this is reflected in Food Capers at every level from friendly service to the preparation, detail and presentation of food. The range and quality of mouth-watering desserts on offer is second to none ranging from meringues to Pavlova and Banoffie pies. The fabulous array of desserts is a great attraction to anyone who feels like treating themselves to a special afternoon tea, coffee or latte. 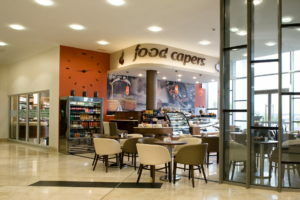 The team at Food Capers are also very conscious that the customer may want to go for health conscious options or may have special dietary requirements. To meet these needs, Breda has developed some niche ares and provides a wonderful array of Mediterranean inspired foods on the menu such as top quality olives, sun-dried tomatoes, pesto, goat’s cheese and brie among many more options. A wide range of specialist breads are also to be found at Food Capers, such as ciabatta and foccacia.Customers can also avail of gluten free breads and soups while special dishes can also be made to order for those on coeliac and diabetic diets.